As many of you may know, PEM Surface Creations’ slip-resistant matting is utilized by several different industries including, but not limited to: golf courses, aquatic facilities, yoga studios and marinas. Its textured surface and slip-resistant properties make it an obvious choice for anyone in search of a safe and protective flooring solution. Speaking of safe and protective, our Marine Matting is also a great solution for all you jet skiers out there. Because stand-up jet skis are lighter than the sit-down watercrafts, many store them on their dock platform. While this is a very cost-efficient alternative to purchasing a boat lift, it can end up damaging the bottom of your hull. This is where our slip-resistant matting comes in. We recommended applying a roll of PEM matting to the dock platform before docking your jet ski. This will not only protect your hull, but will also reduce the risk of mildew developing. The antimicrobial formula safeguards against the growth of fungi, mildew and bacteria. Our matting is permeable in nature, allowing the surface to remain dry. This will also come in handy if you store your jet ski on the dock over the winter. It is important that you keep the bottom dry to prevent ice from forming. 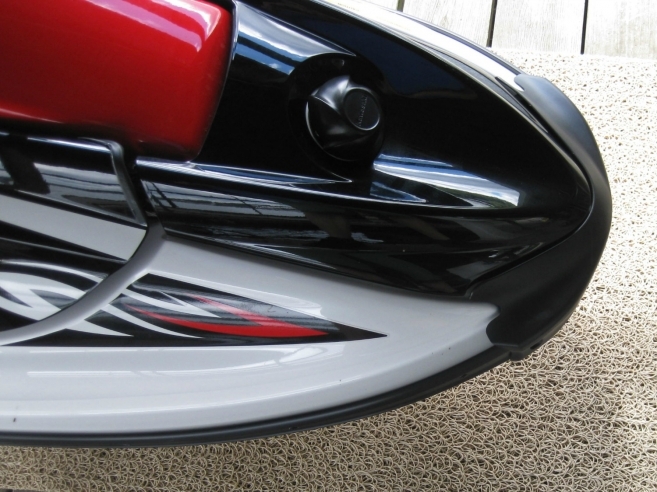 If you are looking for a solid resting surface for your jet ski—look no further than our slip-resistant matting. For more information about our matting, please feel free to email your questions to info@pemsurface.com or give us a call at 800-783-2358.